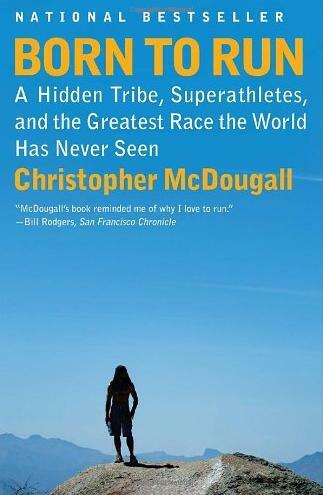 I recently finished the book “Born to Run“, by Christopher McDougall a runner and author who has collaborated with several magazines including Men’s Health. The book, published in 2009, has recently become a classic reading for runners. The main thesis of the book is the support of what is called the Endurance running hypothesis, which explains some human evolution traits as being adaptations for long distance running, suggesting that early humans hunted down animals by running after the prey till it died of exhaustion. Prior to reading the book I had watched some years ago the following TED talk [15’52”] from the author in which he explains the same thesis. I have to admit that after listening to the talk I was quite sceptic and became somewhat reluctant to the reading of the book. It has been only years after that I was curious enough to give it a try. Now, having completed it, I have to say that the book is quite entertaining and the writing style of McDougall makes it enjoyable. The other main theme of the book is the approach to the Tarahumara people, native American indians living in the North West of Mexico, which are known for their endurance running. The book ends with the first Copper Canyon Ultra Marathon, run in 2003 over 51 miles, organized by Micah True (Caballo Blanco) and gathering several Tarahumara natives and some elite American ultramarathon runners. In previous chapters, the author introduces all of the characters that ultimately will take part in the race along some other thesis such as the vegan diet and barefoot running, which I continue to be sceptic of. What I appreciated most about the book was the vivid description of epic races that took place in the past like some editions of Leadville Trail 100 or the already mentioned Copper Canyon Ultra Marathon, the getting to know those races or the Western States, the Badwater Ultramarathon (through the Death Valley), being introduced to both some legendary Tarahumara runners (Manuel Luna, Arnulfo…) or Western ones such as Scott Jurek, Ann Trason, Matt Carpenter, etc. Thus, I would recommend the book as an entertaining read and motivating one for someone who is into running even if I remain sceptic of some of the thesis if defends.